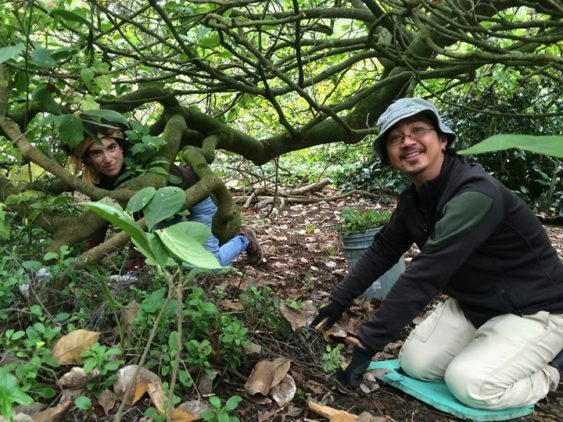 Volunteers contribute more than 45,000 hours of service to the Garden each year, supporting horticulture, leading children’s walks and public tours, propagating plants, and so much more. If you’re interested in getting involved, join in for a one-hour walking tour of the Garden and learn about the many ways volunteers support the Garden. Learn more about volunteering. > Space is limited- please sign up. Meet in front of the County Fair Building, at 9th Avenue & Lincoln Way. Information Sessions are held rain or shine. Please wear comfortable shoes and dress for the weather. During this orientation you’ll learn about the many ways to volunteer at the Garden. Take a brief tour (virtual or physical, depending on daylight and weather) of the collections and visit volunteer hotspots.